Ilsco SureCrimp® ASN Dual rated compression sleeve in green color, is suitable for use with aluminum or copper conductor. This sleeve features aluminum construction with electro-tin-plated finish to offer superior protection against corrosion. It is prefilled with DE-OX® oxide inhibiting compound, which avoids oxides from forming while promoting connector longevity. It accommodates conductor of size 400-KCMIL. Chamfered entry of sleeve provides easy conductor insertion. 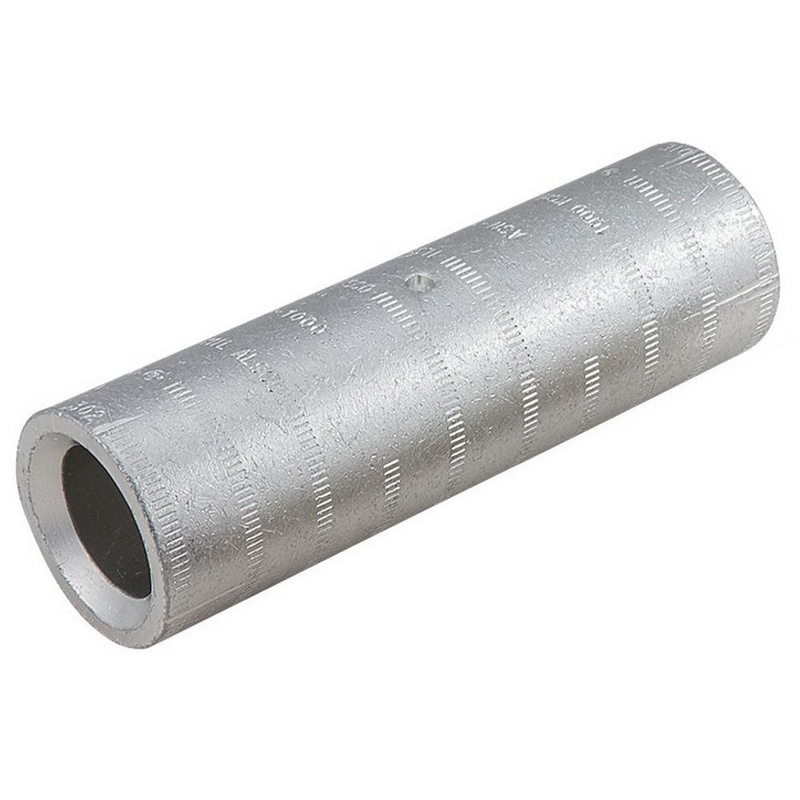 Sleeve has color-coded end cap to identify the proper compression die while roll marked barrel aids for easy identification as well proper location of crimps. It measures 4.6060-Inch x 0.7620-Inch ID x 1.1880-Inch OD. Sleeve has voltage rating of 35-Kilo-Volts and withstands temperature of 90 deg C. Compression sleeve is UL listed, CSA certified and RoHS compliant.